Hi everyone! 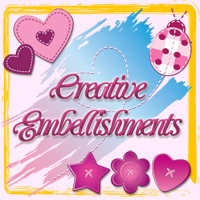 Thank you for joining us this week for the SpiegleMom Scraps and Creative Embellishments Product Swap Blog Hop! What an awesome duo! 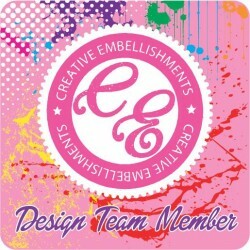 Their products compliment each other beautifully, and it was such a blast combining fabulous products from both companies! I hope you enjoy the project I came up with! 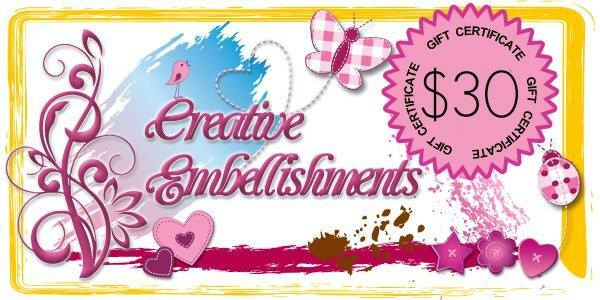 Be sure to leave a comment at each stop (including mine) along the way for YOUR chance to WIN a $25.00 gift card to SpiegelMom Scraps OR a $30 gift certificate to Creative Embellishments! That’s all you need to do in order to enter to win! 😀 You have a whole week to complete the hop (this hop is open until 11:59 pm ET on March 7th). Be sure to let your friends know too! The blog list is at the bottom of this post to guide you to your next stop. I hope you have fun checking out all the inspiration we have in store for you! Once I’d completed my project, I realized I still had a ton of awesome SMS goodies that Jody had generously supplied, so I decided to create a tag set as well! 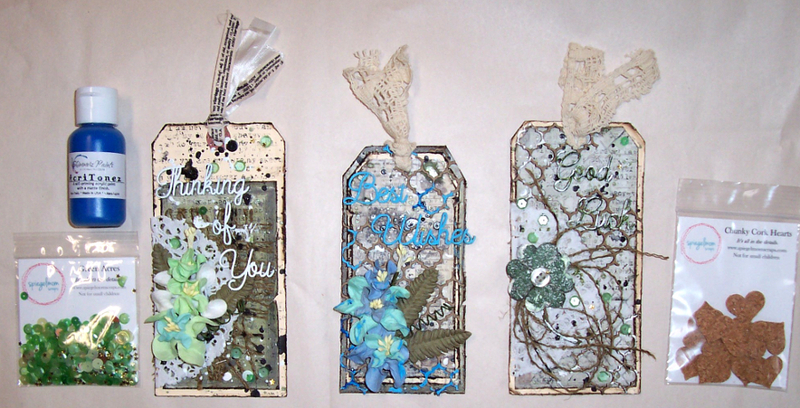 For all 3, I started out by distressing the edges and inking with Distress Ink pads. 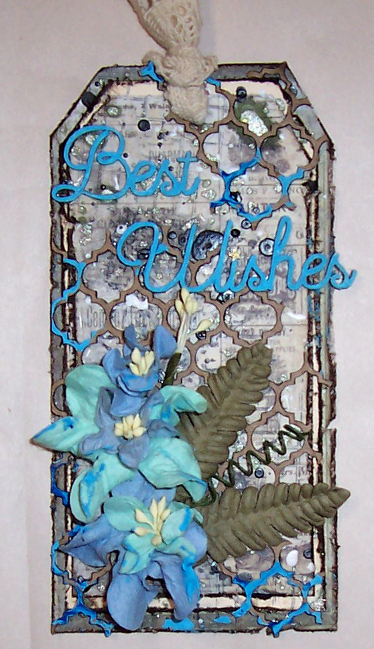 The papers used were from a Tim Holtz paperpad, and the trims are either TH or G45 from my stash. 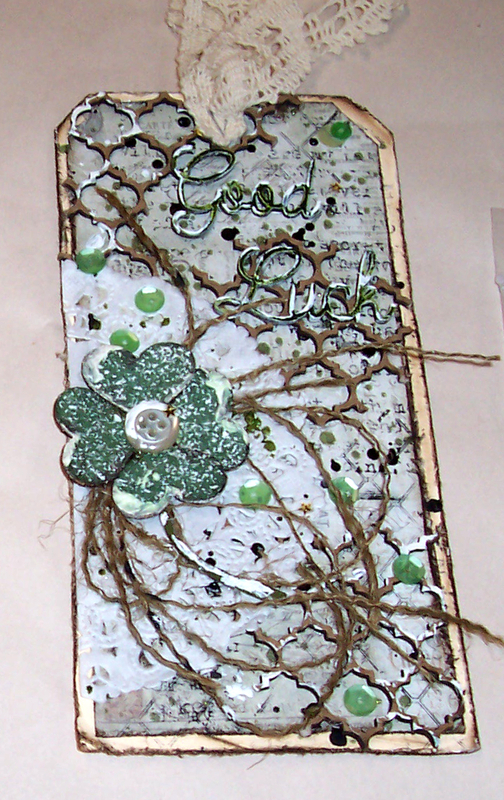 The CE panel I cut apart and used on 2 of the tags is the Moroccan Lattice Panel (it’s a must have!!! 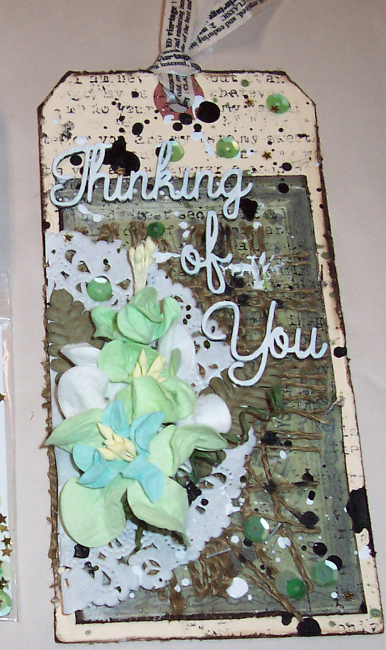 ), and the sentiments are all from the Small Sentiment Words Set (LOVE this one!). 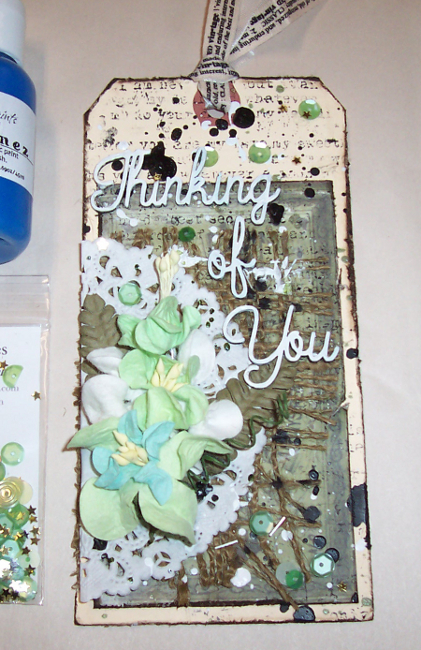 The background stamps I used are my faves and staples in my crafting arsenal. 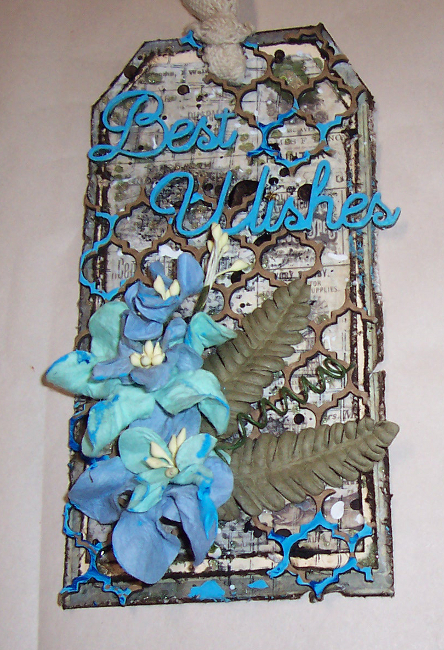 The 2 of the ends feature the Distressed Text stamp, the one in the middle uses the Distressed Grid stamp and the Distressed Corner stamp. 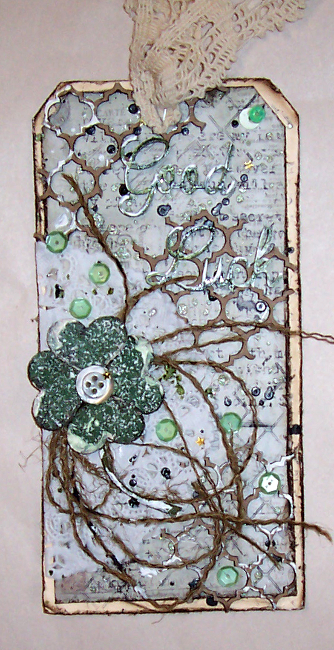 The one on the right also uses the Distressed Chicken Wire Stamp. 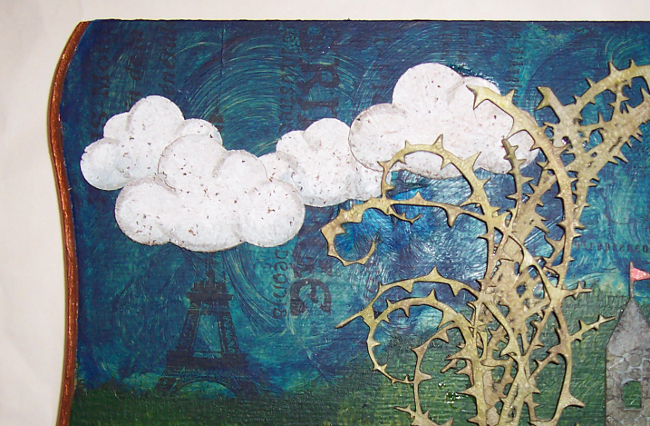 I splatter them using black india ink, white acrylic paint, and a green smooch spritz. REMINDER: Please leave a comment at each stop along the hop for YOUR chance to WIN a $25.00 gift card to SpiegelMom Scraps OR a $30 gift certificate to Creative Embellishments! WOW!!! These projects are just amazing!! The box lid is gorgeous! I love the products you used and how you altered them on the lid. And the tags are so pretty! Such gorgeous colors and details! Love that box lid! What an awesome idea! And those tags are gorgeous! 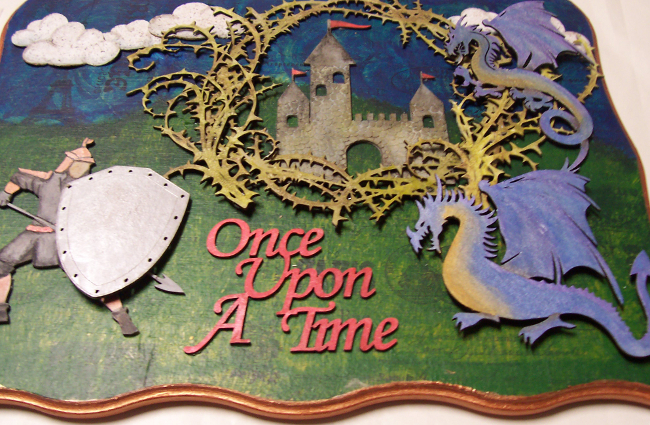 The perfect chipboard for this creation. Amazing! You really know how to highlight texture. Lovely tags! 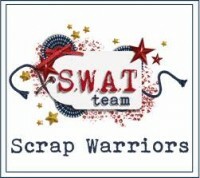 Your project is so cool Doris! And your tags so pretty! What great projects!! So creative!! What are the incredible art piece! Really fun fantasy layout. 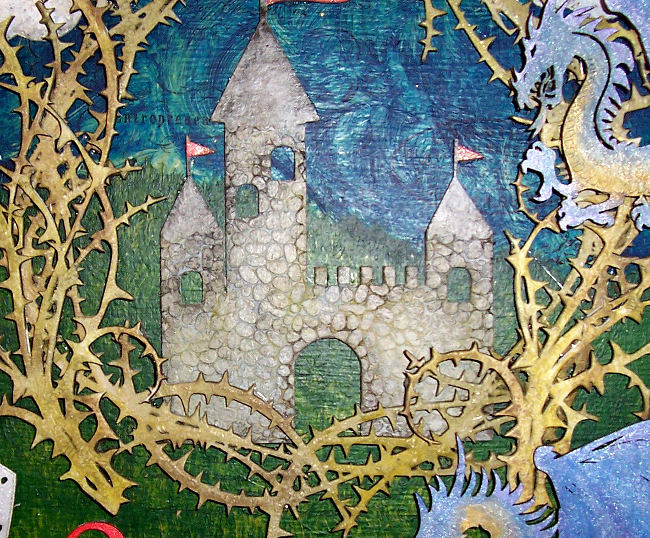 My favorite part is the dragons. Love how you made them so beautiful!! wow. love the tags, and that canvas is so creative! great projects. These projects are great. I’m a sucker for a great tag! I love how you used multiple colors on the dragon chippie. Both projects are so awesome!! I wish I had half your talent in making art like that! This is absolutely amazing! Beautiful work! 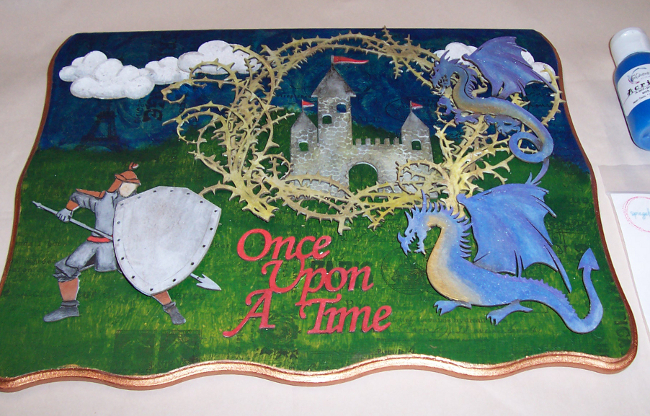 I love fantasy and fairy tales and didn’t know these products existed! I just put them all on my wishlist LOL! I’m sure your daughter loves her box!! Your distressing techniques are amazing. Wonderful work on all of the projects! 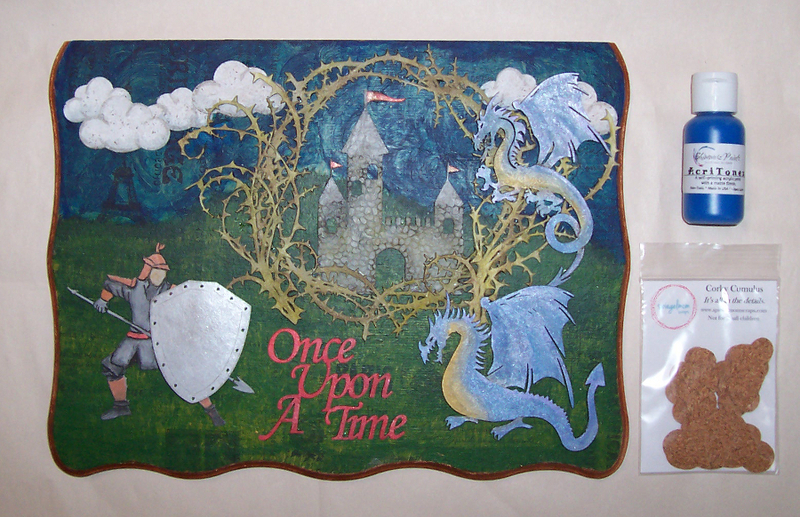 Such a cool dragon box my daughter would love that and I love those tags! 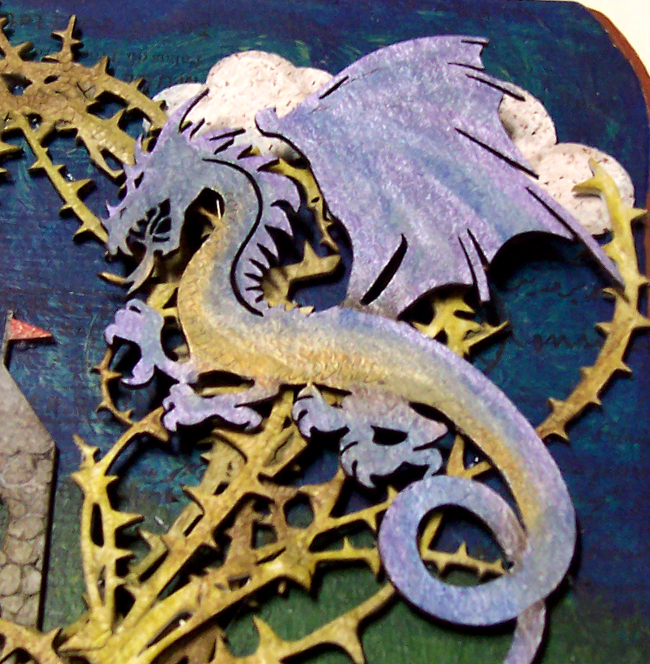 Wow, such a cool dragon box, my daughter would love that and I love the tags too!